8.00pm: The Grand. 69-71 Courtenay Place. If you’re arriving in Wellington on Thursday then get along to the official Warm-up party and meet others who are also in town for the Congress. Bar snacks and drinks specials available. The Weekend starts here! The Grand is only about 10 mins walk from the Comfort & Quality Hotels, easy. FREE entry for all. 8:00pm – 2.00am (doors open 7.30pm): Te Whaea Dance Centre, 11 Hutchison Rd. This is a night to celebrate our local artists with Performance Teams and Couples from around New Zealand plus some of our International Guests. Shows will kick off at 8.30pm so be early to get a good seat. 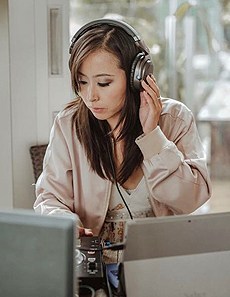 The party afterwards will feature top Latin DJs from NZ and overseas. 8.00pm – 2.00am (doors open 7.30pm): Te Whaea Dance Centre, 11 Hutchison Rd. 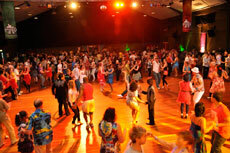 The famous NZ Salsa Congress Grand Salsa Ball will feature some of the best Latin dance professionals in the world. Come dressed to impress in your finest or funkiest outfit and dance the night away to top guest DJ’s. 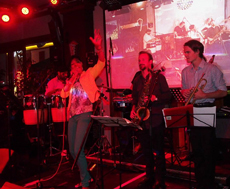 There will be 2 Party rooms dedicated to Salsa/Bachata fans and to Zouk/Kizomba lovers. 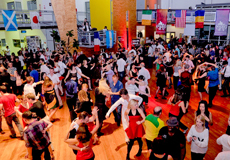 Every year there is a theme, and it’s worth getting a bit creative for it because your outfit could WIN you a FREE PASS to next year’s NZ Salsa Congress, just for dressing up, how cool is that! This year we’re having a T PARTY! 8.00pm – 2.00am: Te Whaea Dance Centre, 11 Hutchison Rd. This Sunday night party is not to be missed – even though its the final night the atmosphere doesn’t cool down, it goes into overdrive! 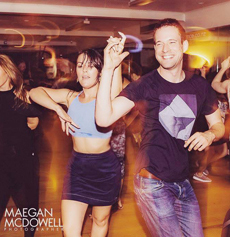 No matter what your favorite dance style is you’ll be able to choose between the Brazilian or Salsa Rooms. This party will be a huge celebration of the end of a wonderful weekend of dance and fun! For those still left in Wellington after the Immersion Courses or just staying an extra day to chill out, this is the perfect way to wind down the weekend. Come join us for a meal and a drink, and perhaps a little bit of dancing if you still have some energy left to burn. Please note that the bar & restaurant will close earlier than usual due to public holiday so come early to get a good spot. Southern Cross is only a 5min walk down from the Comfort & Quality Hotels, how convenient is that! FEATURED CONGRESS DJs for 2019.